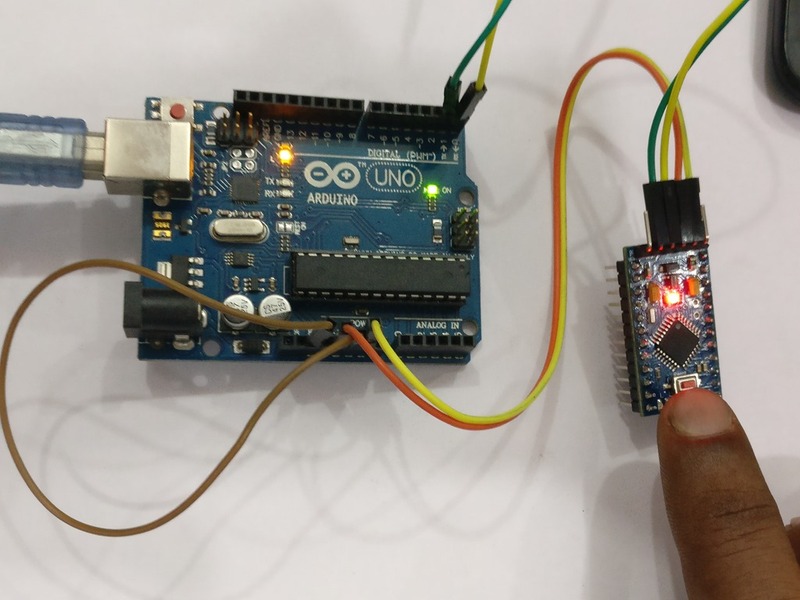 Arduino ProMini , as the name indicates , is a miniature version of UNO .It runs on 16 MHz crystal ,ATMEGA328 ,but lacks USB connectivity. There are 5V (16MHz) & 3.3V (8MHz) versions. In this demo I use the 5v version. There is a voltage regulator on board so it can accept voltage up to 12VDC. If you’re supplying unregulated power to the board, be sure to connect to the RAW pin and not VCC. The latest version of this board breaks out the ADC6 and ADC7 pins ,also adds footprints for optional I2C pull-up resistors. 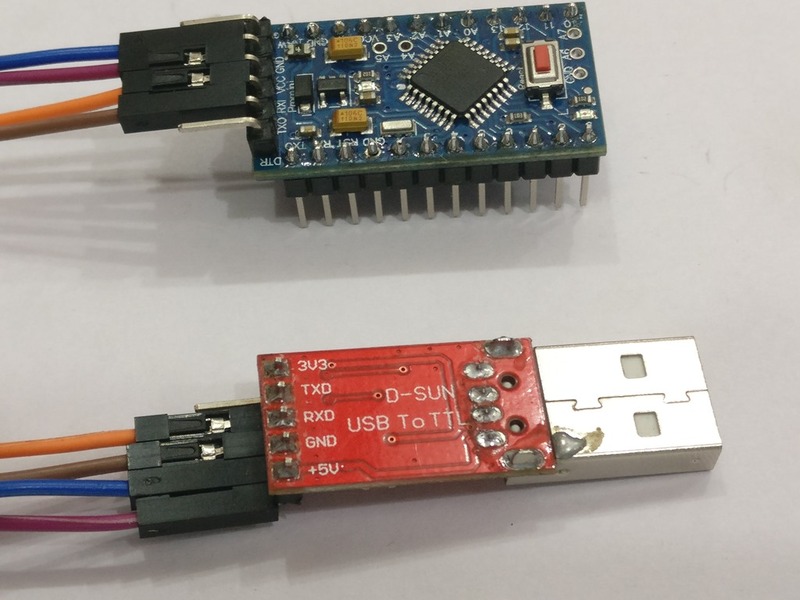 To upload code on to pro mini , a USB-TTL adapter is required.There are many types of USB adapters available.The most reliable one that works up to Windows 10 is the one built on CP2102 IC . CP2102 adapters are available in 2 variants .One with 6 pins that include the DTR , Data Terminal Ready , which handles the RESET required by the promini board. 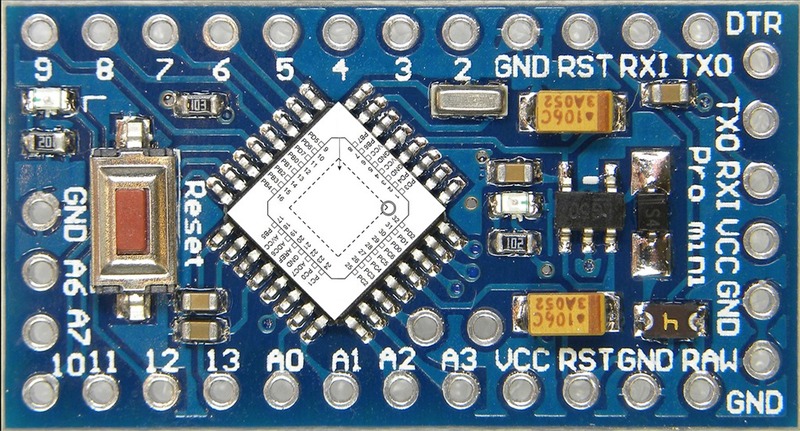 The other board is commonly available one with 5 pins.Here RESET must be done manually on promini while code is uploaded. 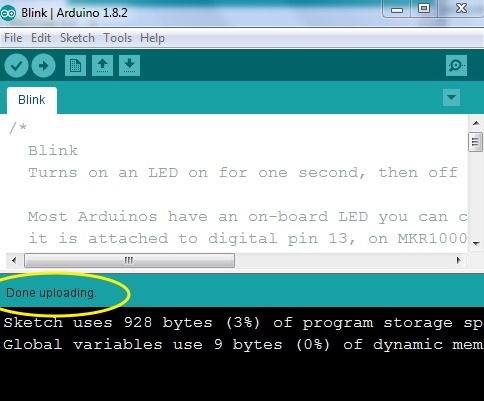 First let us upload code using the 6 pin version . 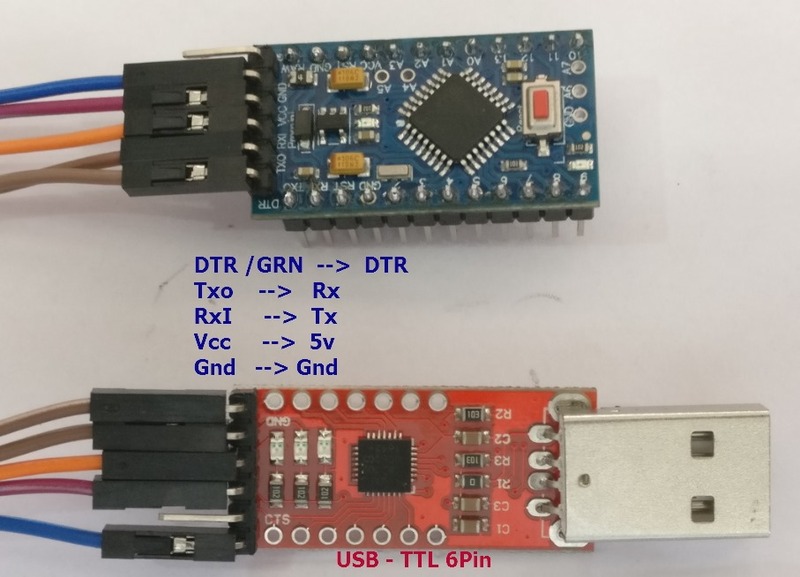 In some Promini boards the DTR pin is printed as GRN. 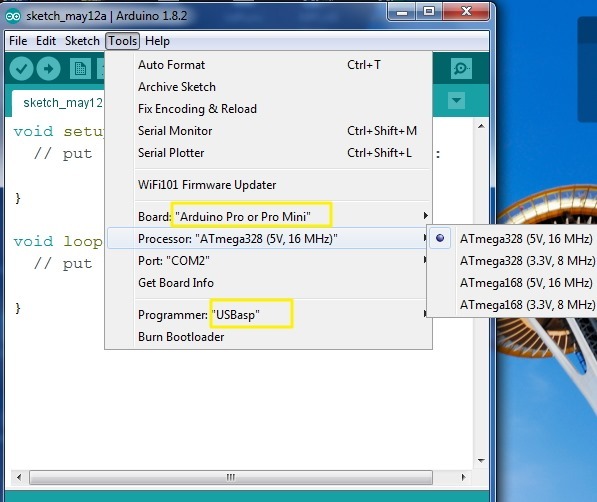 Plug in the USB board to PC & open the Device Manager . 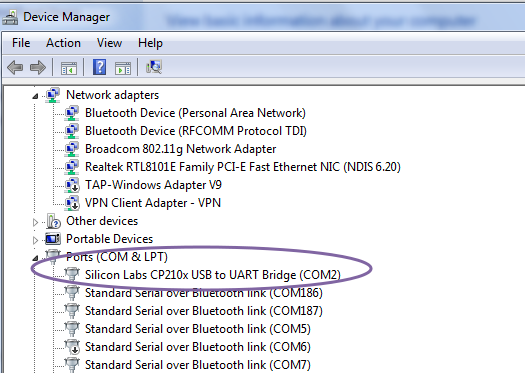 If the driver is installed previously , a COM port will be allotted.Otherwise , download the silicon labs cp2102 driver from here & install. 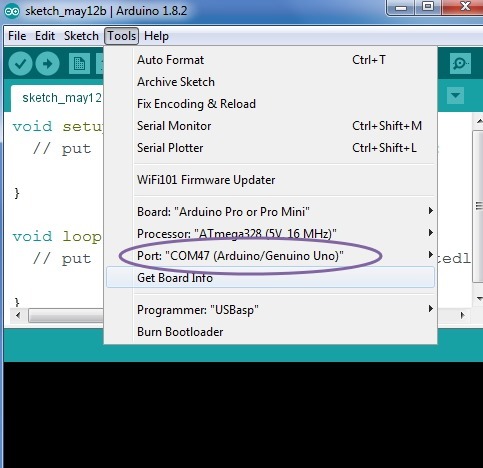 Open the Arduino IDE , feed in the COM port allotted. 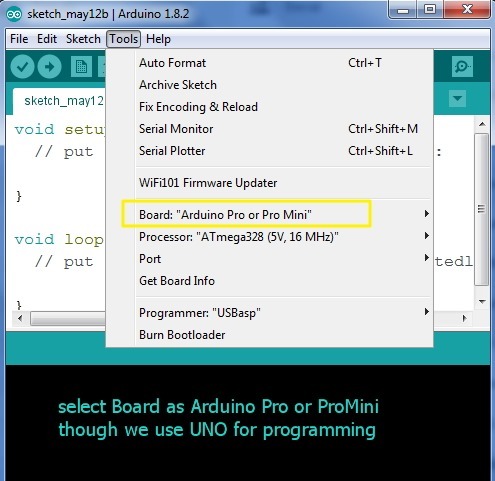 Select Board as Arduino Pro or Pro Mini , Programmer as USBasp. 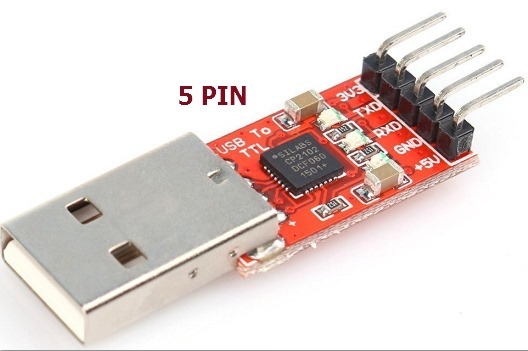 The DTR pin of USB board takes care of the RESET & your code will be uploaded to PROMINI without any manual reset. 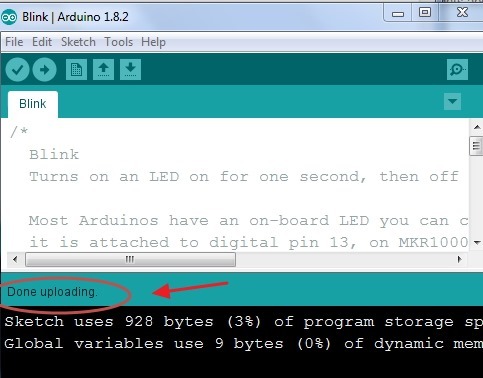 Uploading code using a 5 pin version , needs a manual RESET on PROMINI. Plug in the USB to PC & note the COM Port allotted. Watch out for the message at the bottom of IDE. 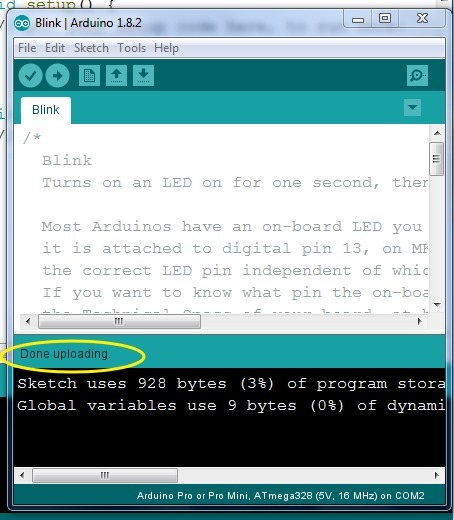 “ Compiling Sketch “ message appears first. 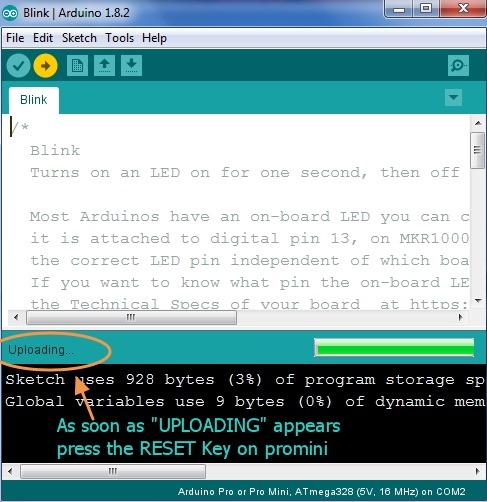 As soon as you see “Uploading” message , gently press the RESET Key on Promini. This should be done instantly , as soon as you see “UPLOADING” message. 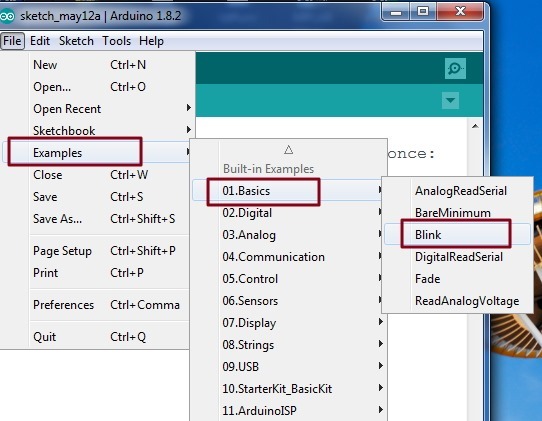 If the KEY Press is at the right time , your code will be uploaded successfully. 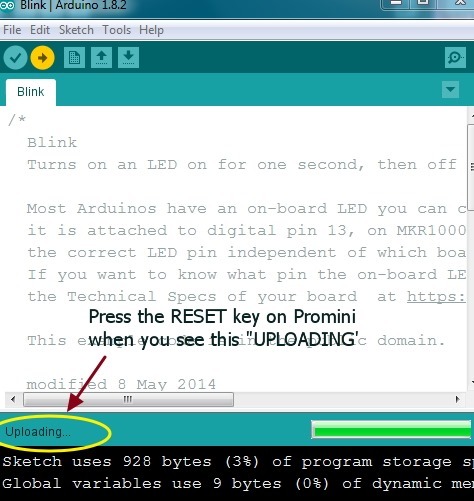 You can also use your UNO board to upload code on Promini. 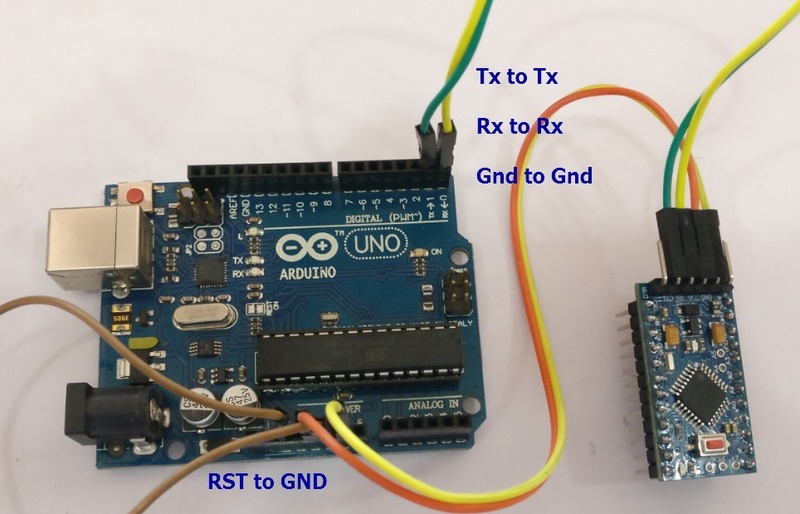 Connecting RST pin to GND bypasses the bootloader & only the serial converter IC located near the USB socket is used as USB-TTL. 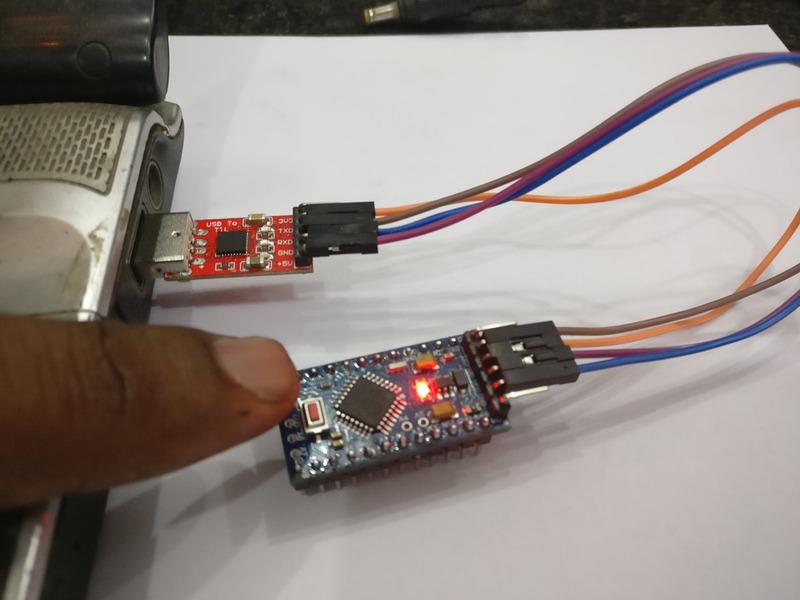 Connect the USB cable to PC & open the IDE. Select the port where UNO is connected. 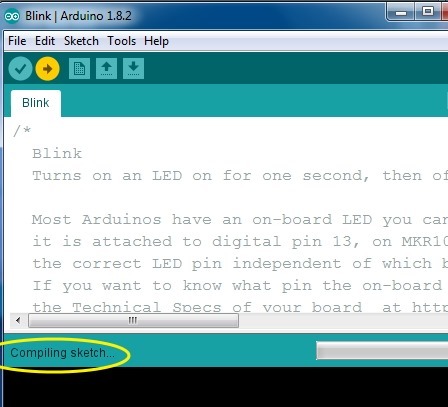 Open the BLINK sketch & UPLOAD. Watch out the message at the bottom of IDE. 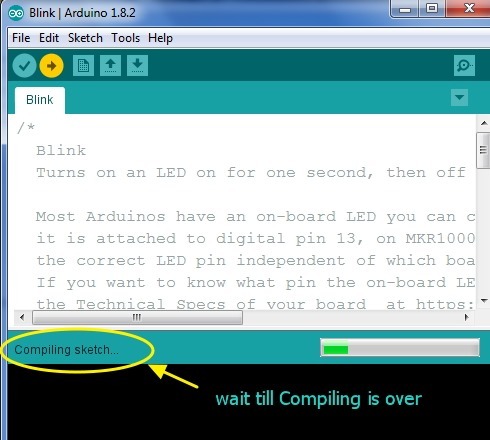 Initially “Compiling Sketch “ appears. Once you see UPLOADING… message , press the RESET key on PROMINI. The code is now Uploaded successfully. 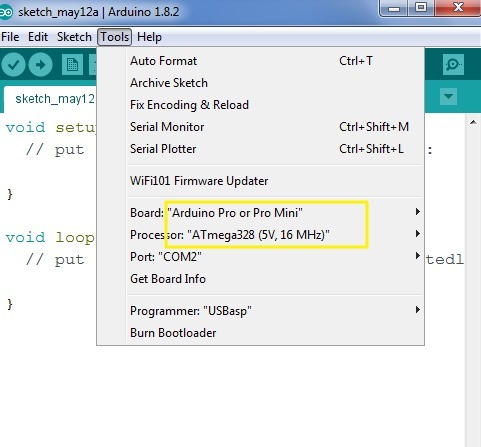 Can you help me out in uploading the code to the pro mini?. Have been trying the above mentioned steps for the past two days.